Divorce in Pennsylvania | Lisa Marie Vari & Associates, P.C. It goes without saying that there must be a valid marriage before there can be a divorce or an annulment. In most circumstances, a marriage is entered into as part of a civil or religious ceremony and a marriage license is obtained. However, Pennsylvania was once one of the few states that also recognized common law marriages. A common law marriage is a marriage entered into by the parties informally, without a civil or religious ceremony. The parties must exchange “words of the present intent” indicating their desire to be married and hold themselves out in the community as married individuals. There was never a requirement in Pennsylvania law that the individuals reside together for a certain period of time before they would be considered to be a married common law couple or that living together for a certain period of time would automatically create a common law marriage. A threshold requirement for obtaining a divorce is residency or domicile of one or both parties who are to be divorced. “Residency” refers to the state in which a person lives; “domicile” refers to the state that the person regards as “home.” Usually the state of a person’s residency and domicile are the same, but sometimes they can be different. A divorce can be commenced in Pennsylvania if at least one of the spouses has been a “bona fide resident” of Pennsylvania for at least six months prior to the filing of the divorce complaint. “Bona fide resident” means actual residence coupled with the intention to remain there permanently or indefinitely. Not only are there residency requirements related to which state a divorce complaint can be filed, but there are also considerations for the county in which a divorce complaint can be filed with the court. There has been a number of PA law firms that promote quick or cheap divorces by the filing of a divorce complaint in a county where neither party resides. This practice generally only leads to problems and has recently been rejected by the Pennsylvania Superior Court. In the Danz case, the Court vacated the divorce decree because venue was improper since neither of the parties resided in the county, there was no written agreement by the parties to permit the litigation in that county, and the defendant in the action did not tacitly agree to venue through her participation in any litigation in that county. A divorce decree can be issued against the defendant-spouse even if Pennsylvania does not have personal jurisdiction over the defendant-spouse. In other words, a divorce decree can be entered even if the other spouse does not reside in Pennsylvania and cannot be served with the legal papers in Pennsylvania. However, personal jurisdiction over the defendant-spouse is necessary if the spouses intend to pursue equitable distribution of marital assets and debts or other issues such as alimony. The party seeking a divorce must state a ground for divorce in the initial documents filed with the court. This document is called the Divorce Complaint. The grounds may be based on no-fault or fault. Over the last twenty years, “no-fault” has replaced “fault” as the dominant basis for obtaining a divorce. No-fault divorces are considered to be a more humane and realistic way to end a marriage. Husbands and wives who are divorcing usually are suffering enough without adding more fuel to the emotional fires by trying to prove who did what to whom. The PA no-fault divorce laws recognize that human relationships are complex and that it is difficult to prove that a marriage broke down solely because of what one person did. A Pennsylvania no-fault divorce is a divorce in which neither spouse blames the other for breakdown of the marriage. There are no accusations necessary to obtain a divorce and no need to prove “guilt” or “fault”. In Pennsylvania, spouses still can be divorced under fault-based grounds. Fault based divorces are awarded to the “innocent and injured spouse” when the other spouse has willfully deserted the marriage for a period greater than one year, committed adultery, endangered the life or health of the other spouse, entered into a bigamous marriage, been sentenced to prison for two of more years, or “offered such indignities to the innocent and injured spouse as to render that spouse’s condition intolerable and life burdensome.” However, as stated above, it is often expensive to proceed in this emotionally charged manner and often yields little benefits to do so. In fact, fault is irrelevant for purposes of marital property division. Fault based grounds for divorce may be important considerations in PA alimony cases and PA alimony cases but can generally be raised as entitlement defenses in the support action instead of in a fault-based divorce. For this reason, most divorces are now processed under the no-fault divorce methods. Under Pennsylvania’s no-fault method, a divorce decree can be processed as soon as ninety days after the filing and service upon the other spouse of a divorce complaint if both spouses will consent to the entry of the decree by signing a document called an Affidavit of Consent. If one spouse fails to consent to the entry of the decree, a no fault decree can be entered if the marriage is irretrievably broken and the spouses have been separated for at least two years if a Pennsylvania Divorce Complaint was filed on or before December 4, 2016 and for at least a one year separation if the PA Divorce Complaint is filed after December 5, 2016. With regard to the date of separation, please be advised that there is no such thing as a legal separation in Pennsylvania. It is presumed that the date of the filing of a divorce complaint is the date of separation unless the facts (such as one spouse moving out of the marital residence) justify using an earlier date. In some circumstances, spouses can be separated even if they continue to reside in the same household. What is a PA Divorce Decree? A PA divorce decree is nothing more than an order of court declaring the end of a marriage. The Pennsylvania divorce decree allows either spouse to remarry or leave their estate upon their death to the person of their choosing. While the PA divorce decree itself may not necessarily be the most import aspect of a divorce case, the issues of equitable distribution of marital assets and debts and alimony cannot be resolved except in conjunction with obtaining the divorce decree. There are very limited circumstances when people who were married can obtain an annulment to dissolve their marriage instead of proceeding through the divorce process. An annulment is a legal declaration that a valid marriage never existed. This differs from a divorce which declares that a valid marriage is over. In Pennsylvania, invalid marriages include situations such as when either party had an existing spouse at the time of the marriage, when the parties are blood relatives within a certain degree, or when either party could not consent because of a mental defect or other related reason. Other marriages may be declared void by Pennsylvania courts and an annulment granted if requested by one of the parties. In Pennsylvania, voidable marriages arise when either spouse is less than sixteen years of age and lacks the consent of a parent or the court to marry, where either party was under the influence of drugs or alcohol, when either party was at the time of the marriage incurably impotent and the other spouse was unaware of this fact, and when either party entered into the marriage as a result of fraud, duress, coercion, or force. Marriage is a contract, and if either individual was unable to enter into the contract, the court may determine that no contract of marriage ever existed. An annulment granted through a church or religious-based entity is not the same as a legal annulment. 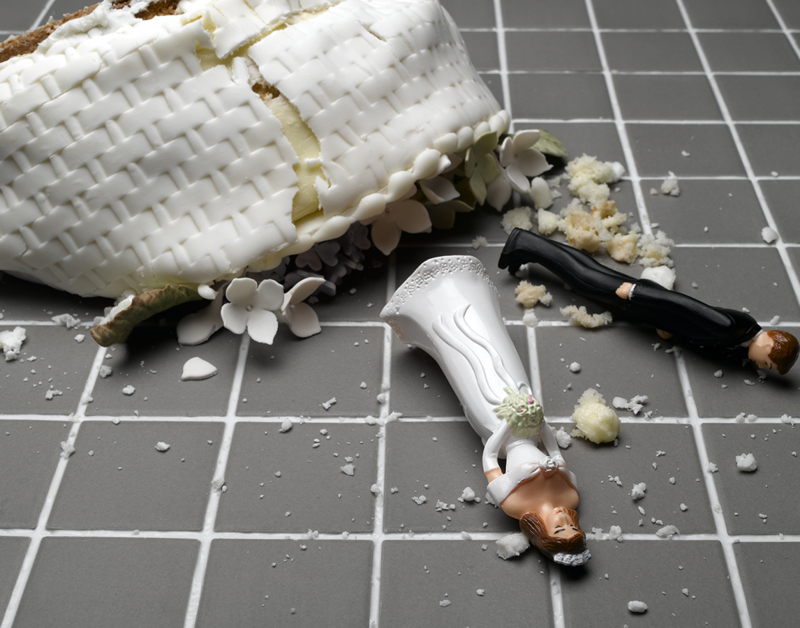 Only a legal annulment or divorce gives the parties the right to remarry. A religious-based annulment gives the parties the right to remarry through their religious organization. A party in a religious-based annulment is not represented by a lawyer, but is often counseled through the process by a priest, minister or rabbi. Our PA family law attorneys have represented over 1500 family law clients with their divorce, child support, spousal support and related issues. Learn why we’re different from other Pittsburgh divorce lawyers and how we can help you through this critical time in your life and the lives of your children. A spouse who is considering a separation or divorce should schedule an appointment with our PA divorce lawyers prior to the actual date of separation so that some preliminary advice may be given. Separations can impact legal rights to marital assets and custody of minor children and could also have serious implications on the right to receive support or the obligation to pay support. Consultations are available in our downtown Pittsburgh divorce lawyers’ offices located in Allegheny County, Pennsylvania, in our Cranberry Township divorce lawyers’ offices in Butler Pennsylvania, in our Washington County divorce lawyers’ offices in Canonsburg (Southpointe) and in several meeting locations. Appointments are also available by telephone. Our Pennsylvania divorce attorneys routinely accept Allegheny County divorce, Beaver County divorce, Butler County divorce, Lawrence County divorce, Mercer County divorce,Washington County divorce, and Westmoreland County divorce cases. Our divorce lawyers accept clients with divorce and family law matters in other Western Pennsylvania counties including Armstrong County, Fayette County, Greene County, Indiana County, Somerset County, and Venango County on a case-by-case basis. Contact our PA divorce law office today by email or by telephone at our Pittsburgh office at 412-281-9906, our Southpointe office at 724-436-5500, our Cranberry Township office at 724-776-9906 or toll-free at 1-844-VARI-LAW for your divorce and separation options. To read appellate cases regarding PA divorce laws, click the preceding link.